We have been working with commercial garage doors in Barrie, ON for a long time and realize that being prepared for whatever repair we might encounter ensures client satisfaction. 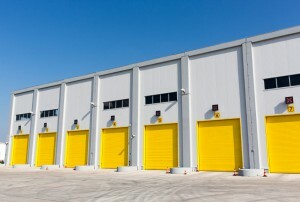 Commercial Garage Doors in Barrie – As a business owner, your company’s garage door plays a large role in the daily success of your operations. At Kempenfelt Overhead Doors, we understand this and are here to help you maintain the overall functionality and safety of your garage door in Barrie, Ontario at all times. To ensure a timely repair process, we always maintain a comprehensive stock of commercial garage door parts, including hoist operators, fire door release systems, jackshaft operators, slider operators, and many others. We have been working with commercial garage doors for a long time and realize that being prepared for whatever repair we might need to do is one of the best ways to ensure client satisfaction. In addition to repairing commercial garage doors, we also have many different garage doors to offer. We understand that you want an overhead door that is not too expensive and will function properly year-round. With your purchase, we can take care of the installation and may even be able to install your new garage door in one day! We offer an impressive 2-year warranty on all of our repairs and installations and are proud to be able to work with many different types of commercial garage doors. Whatever your needs are, we are confident we can meet them. At Kempenfelt Overhead Doors, we are the smart choice for all of your garage door repair, installation, and purchasing needs. To schedule a time for service or to find out more about the types of commercial garage doors we work on, give us a call today. At Kempenfelt Overhead Doors, we proudly provide services for commercial garage doors in Barrie, Innisfil, Orillia, Oro Medonte, Angus, and surrounding areas of Ontario.